Summary: Mechanically the series is as solid as ever, although I have noticed some hitbox issues that seem more prevalent than previous games, and Blackout alone has made this my favourite and most played Call of Duty title in years, but there are some undeniable issues in how the content is being presented to players and, in some instances, the gameplay has been negatively impacted as a result. However, things are different this time around, as I’m sure you’ve probably heard by now. Never one to buck a good trend, Activision’s classic series has jumped aboard the Battle Royale hype train, but this has come at the expense of a dedicated single player campaign, much to the chagrin of a vocal portion of the fanbase. Firstly, there is kind of a story thread running through things to give context to just why you’re squeezing off shots at the enemy, but the Specialist HQ portion with its disjointed cutscenes and lame AI bot combat can easily be skipped over, and this is coming from someone who practically demands a purpose behind every action in a videogame. The problem is that’s it’s just a garbled mess and, aside from offering a few perks and upgrades for your chosen class, there’s no reason to spend your time trying to piece things together doing glorified tutorial missions when you can just immediately drop into the arena of battle against other living opponents. 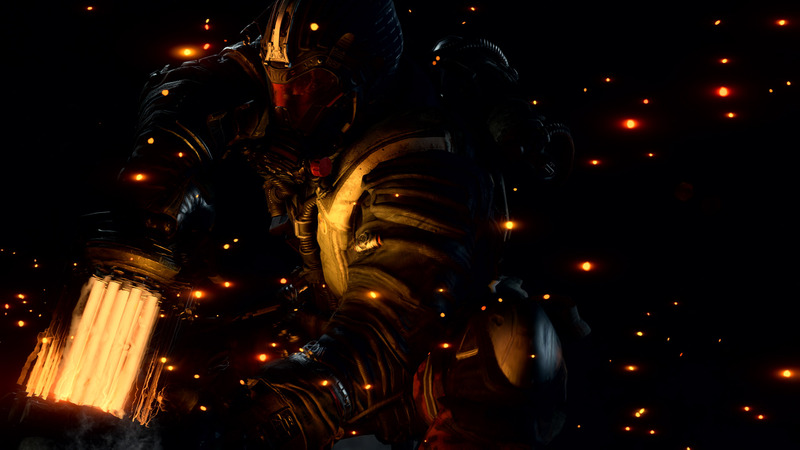 I covered a lot of the aspects of the traditional multiplayer in my Beta review, such as the specialist classes on offer, no longer having regenerating health and how the movement system retains the fast pace of the earlier games whilst removing the wall running and jetpack spamming that characterised the multiplayer of previous games, but there are more than a few elements to cover here that weren’t accessible during the Beta. The two new modes, Heist and Control, are both fantastic additions to the core modes that make up traditional multiplayer, such as TDM, Kill confirmed and Hardpoint. Control has you trying to hold position whilst attacking the opposing team’s point, with limited respawns to up the ante, whilst Heist has your team trying to obtain a stash of cash to add to the collective pool, which can then be used to purchase better starting weapons and gear. 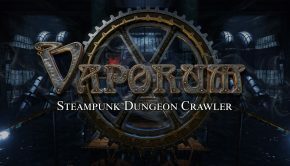 With fourteen different maps, including a handful of remade classics from previous games, a deep and extensive progression system and a pair of terrific new modes, traditional multiplayer doesn’t break the mould but does feel faster and more fluid and accessible than the last few iterations, which may be due to the subtle tweaking to the TTK so that doddering old codgers with geriatric reflexes like myself can actually stand a chance against all those young whippersnappers. 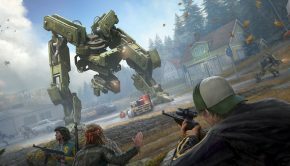 After the initial multiplayer Beta, I expressed some doubt as to how successfully the CoD gameplay model would be able to make the transition to the Battle Royale genre, so colour me surprised when it turns out that Blackout is, for my money, the best thing to happen to the Call of Duty franchise in a long, long time. 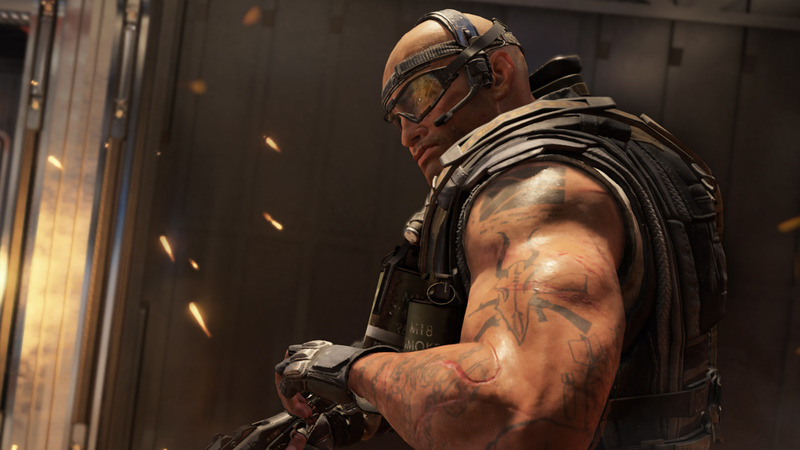 While it doesn’t exactly mitigate the complete omission of a fully fledged campaign, Blackout stands out as Black Ops 4’s crown jewel, a highly addictive and polished take on the Battle Royale genre that benefits heavily from the tight and refined gunplay Call of Duty is known for. 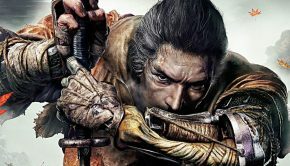 The essential premise behind this mode is the same as every other similar title on the market – You drop from an airborne vehicle, land somewhere where there are hopefully only a few shotguns pointed at your face, scrounge up what resources you can find and try and build a suitable armoury to stave off the inevitable attacks that escalate in frequency as a storm closes in on the battlefield and forces the surviving players together… It’s a relatively simplistic model that has proven to be a license to print money, so it makes sense that Treyarch would stick within the familiar confines of what has already been established in the genre. In fact, if there are any complaints to be levelled at Blackout, it’s that it might just be playing it a little too safe; aside from the shift to a first person perspective, there’s no major difference between what’s on offer here structurally than, say, PUBG, and even less so than Fortnite, given that there is no building component. Usually this lack of innovation could be seen as a strike against the game, but here Blackout seems to have benefitted immensely from the increased focus on perfecting a formula rather than trying to reinvent the bicycle and adding superfluous accoutrements that nobody asked for. Players can select to play in either solo mode, partnered up with a buddy or as a part of a four-man squad; while each mode has its moments, I personally gravitated strongly towards the latter two and honestly spent very little time trying to go it alone. Of course, this is as a result of my personal playing style rather than Solo mode being in any way inferior than the other two options, but I found that there was much more fun to be had when there was at least one other person with whom you could take on the murderous masses with. When playing in Solo you’ll be going up against 100 other players, whereas in Quads and Duos that numbered has been pared down slightly to 88. 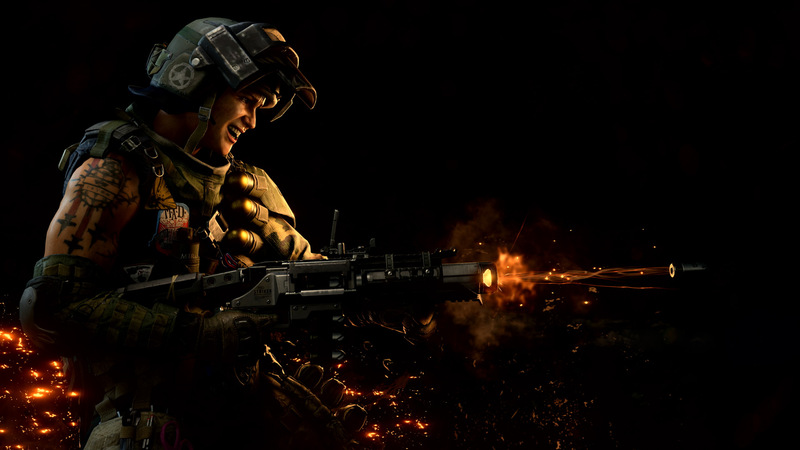 The combat in Blackout feels way less jankier than in PUBG and a requires a different approach than in traditional multiplayer; of course stealth plays a far larger role but another factor you’ll have to keep in mind is how certain weapons perform within the changed conditions of playing upon a larger map. Certain weapons that are practically indispensable in regular multiplayer modes may prove to be useless when removed from close quarter battles and range of distance and bullet drop is something that you’ll absolutely have to become cognisant of if you hope to stand a chance of securing that elusive victory. Vehicles are limited in variety but control nicely and allow for a quick getaway when needed. 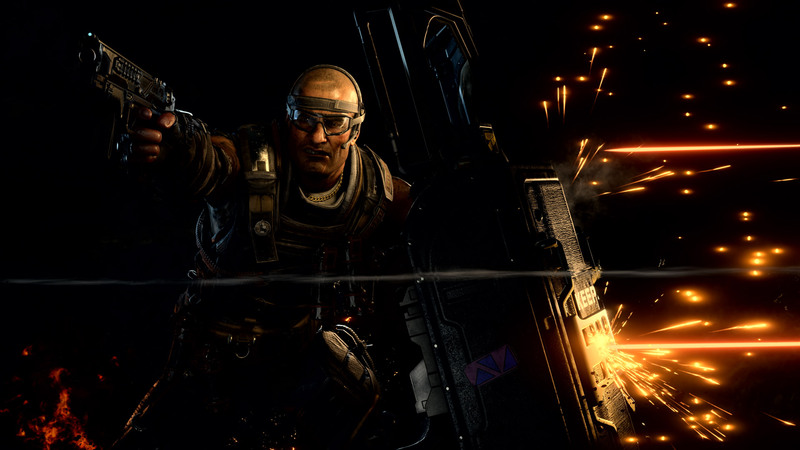 There is one area where, to me at least, it shows that Blackout was a late addition to the game, and that is with the progression system; unlike the one in traditional multiplayer, which offers myriad upgrade paths and points for different activities, Blackout only offers a measly 10 points per kill, 50 for placing within a certain range and 150 for winning a match. What this means is that gaining levels is a far more protracted process than in other modes, even with the sporadic injection of extra points that come when you complete certain challenges in-game. 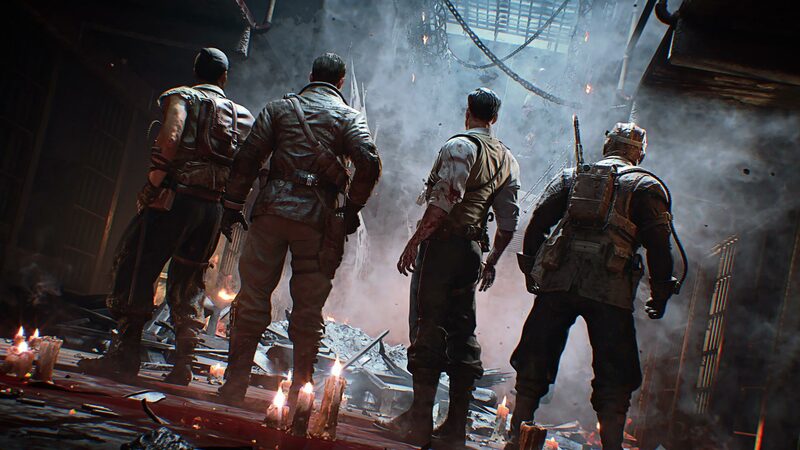 Finally, Zombies is back, bearing a closer similarity to earlier entries such as the one found in Infinite Warfare, where the Easter Eggs are super obscure, the narrative thin and abstruse and figuring out where to go next is almost as gargantuan a task as holding off the hordes from Hell. I personally preferred Sledgehammer’s more guided approach to this mode as, although there is admittedly some fun to be had here, having to pore over online guides and complete lengthy and unclear multi-step objectives just feels like more effort than the mode is really worth. The combat is as satisfying as it is in the other modes on offer, characters can now down potions for a short-lived perk boost and there is a wealth of customisation options available for both the characters and the gameplay itself for those willing to spend the time fiddling about. There’s also a new mode dubbed ‘Rush’, which sees players competing against each other by seeing who can rack up the biggest points before dying. It’s not anything revolutionary but it does offer a nice change for a mode that has always been rooted in cooperation. There are a total of four Zombie maps included, although this comes with a caveat – The Titanic, Alcatraz and Gladiatorial maps are available for all to access and offer dual narratives, one which follows a new group of adventurers and another returning to the overarching ‘Aether’ plot from previous Black Ops titles, but the final map, Classified, which is an updated version of the Five map from Black Ops, is gated off behind the season pass. Now, I’m all for a season pass offering future content to prolong the lifespan of a game, but when it’s used to lock Day One, on-disc content from people who have only purchased the Vanilla edition, it comes off as more than a little shady on Activision’s behalf. Although future content is to come, certain skins and maps being locked behind a pass but available from launch to play for those willing to pony up the extra coin doesn’t bode well for the future. 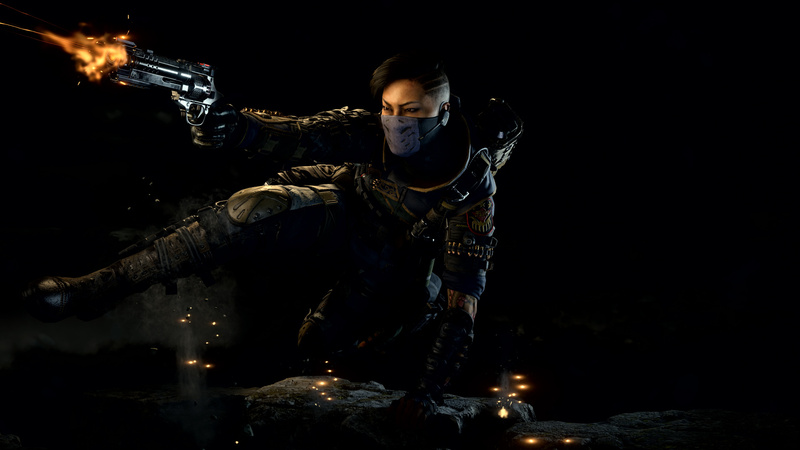 In fact, that’s only one of a few major issues I have with Black Ops 4 as a whole and how games like this are being launched these days; there’s the splitting of the playerbase through gating of content, the reticence to introduce their microtransaction business model until well after reviews have come in and, most egregiously in Black Ops 4’s case, there’s the underhanded throttling of the multiplayer servers from 40-60Hz to a measly 20Hz a few days after release, a move that affected the connection quality and chances of survival for many players. Blackout was reportedly unaffected and they’ve since upped things to 30Hz, but bait and switch tactics like this where reviewers and players are presented with a product initially and are then left with something that doesn’t perform as well as it did just days ago doesn’t sit well with me at all. I personally noticed a severe degradation in the quality of TDM over the course of only a few days, which irritated my squad as I assured them that the traditional multiplayer was just as engaging as Blackout was, only to have them call me out due to intense lag and latency issues and killcams not aligning to their perception of how a battle unfolded. Come on, it’s a Call of Duty game, so you kind of know what to expect. The soundtrack is decent enough but entirely unmemorable, the weapons sound like an absolute delight and the sound design overall is as polished as a AAA title can get. 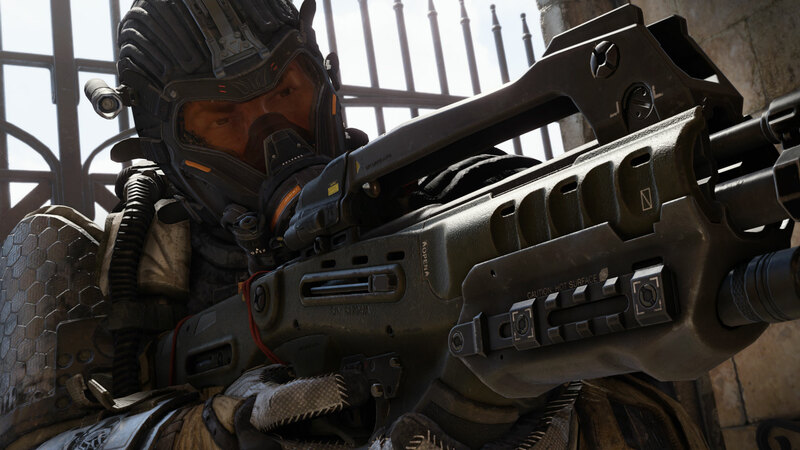 Visually Black Ops 4 does the job but, if we’re being honest, it doesn’t look quite as good as any of the previous few titles. It may be due to the more garish and colourful art direction but textures seem muddy and everything just seems to lack the fine detail and definition most CoD games possess. Again, it’s solid enough but the engine is really starting to show its age, most noticeably when playing in Blackout as opposed to the smaller maps of traditional multiplayer. 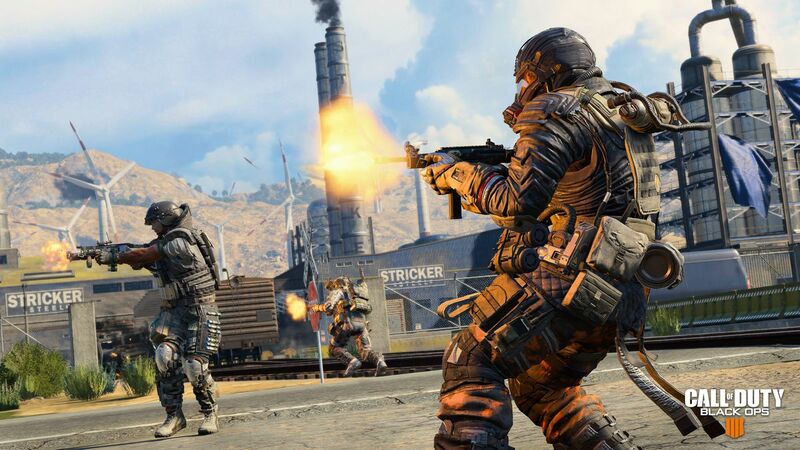 I’m more than a tad conflicted with Treyarch’s offering this year; on the one hand, Blackout is a fantastic addition that has injected some much-needed innovation into the Call of Duty formula, but I can’t help but lament the absence of a dedicated campaign. 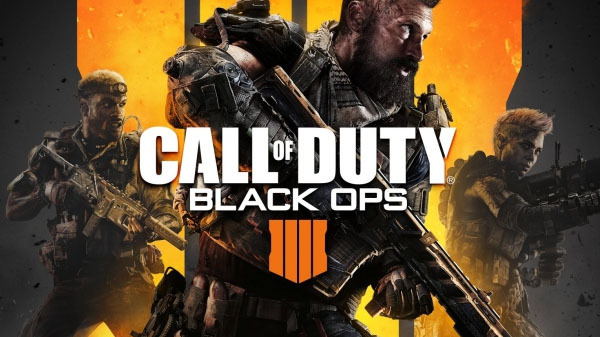 The multiplayer is undeniably fun but throttling of servers and lag issues have dampened my enthusiasm as the quality has degraded from that present at launch, although things are picking up again as Treyarch listens to the community and makes the necessary adjustments. Zombie mode offers a wide variety of objectives and locales to explore and is probably the most refined iteration of the concept to date, but the mission goals are often far too abstruse and the fact that a literal quarter of the content is locked behind the Season Pass from day one leaves a bitter taste in my mouth. 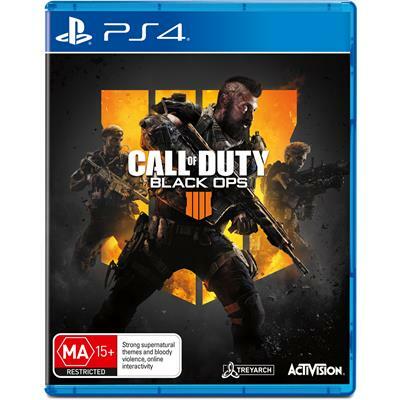 Mechanically the series is as solid as ever, although I have noticed some hitbox issues that seem more prevalent than previous games, and Blackout alone has made this my favourite and most played Call of Duty title in years, but there are some undeniable issues in how the content is being presented to players and, in some instances, the gameplay has been negatively impacted as a result. One question I do have remaining though – Now that Blackout has shown that a large scale map with vehicles is doable in the context of a CoD game, how much extra work would it take to basically create the Call of Duty version of Conquest from Battlefield? As awesome as Blackout is, being able to wage war on massive maps along with choosing your loadouts and having respawns seems like the next logical step for the series and something that I can see working extremely well, given how many hours of sleep I’ve already sacrificed to playing “Just one more round” of Black Ops 4’s Battle Royal mode.